Pros: First and foremost - it is intuitive. As soon as I was setup with an account, I jumped right into the tool without any trouble. Of course the RedFlag team had scheduled a demo so I could quickly get up to speed, but it was so simple that I could navigate it right away. Secondly - the flexibility is huge. Flexibility in a many ways! First the flexibility to shape recipient groups is huge. For example - are you targeting a particular geography? A particular region? An account team? A department? The list goes on. I use this tool for emergency response (hurricanes, tornadoes, wildfires, etc. ), but it is an effective solution for any kind of broad communication needs. Second is the flexibility to distribute messages via several channels. Text, phone calls, e-mails, etc. - not everybody wants to receive communication in the same way, so this offers a solution for everyone. Third - data and analytics are a biggie for me! Data - RedFlag syncs with my company's data system nightly, so I know the information in RedFlag is the latest and greatest. Analytics - being able to easily pull insightful reports for all outbound messages is a huge win. This has been a game changer! Cons: This may sound silly, but the only thing I dislike about RedFlag is the fact that I wasn't introduced to them sooner. Overall: Have you ever had to manually contact thousands of employees during a time of crisis? As in, establish calling trees and try endlessly to get in touch to make sure they're okay? DITTO! That was our reality up until RedFlag came into the picture! 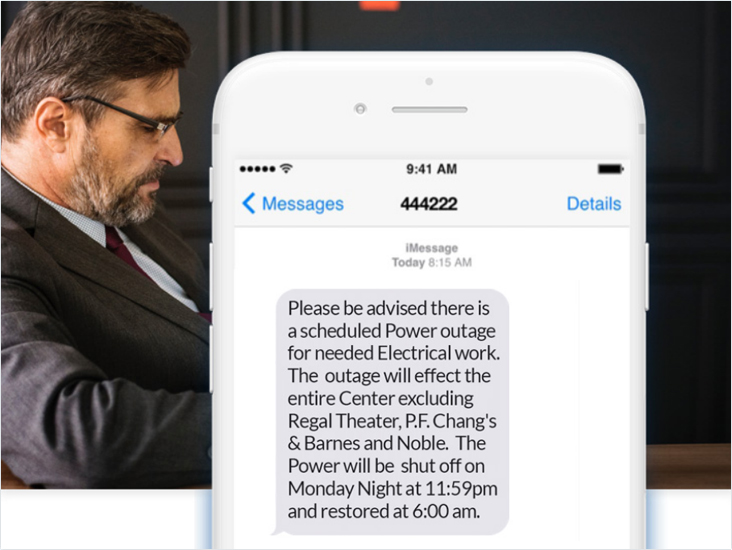 What was once manual and very heavy lifting has now turned into smooth communication via channels that offer flexibility to our employees during already difficult times. Some might say "well don't those types of blast communications take the human touch out of equation?" Not at all the case. RedFlag tools allow you to interact directly with employees, and for those employees who might need a little extra support during difficult times - we spring into action to help. In fact, having the technology and analytics from RedFlag allows us to identify those in need much faster so we can ensure they are supported and have the resources they need. Pros: RedFlag is so easy to use and a fast way to communicate to our tenants on those times we need to use it. Aside from my office desktop, I was able to use it on myiPad at home. Cons: So far I have not encountered any issues with RedFlag. It's user friendly. Overall: We use RedFlag to communicate instant messages to our mall tenants when we have to. We had two hurricane situations a few months ago wherein we needed to inform tenants of the mall if we will close or not. Our messages we're received timely by tenant contacts on our list and these were received simultaneously via their email and smart phones. We received many praises and positive comments during those challenging times not only from our tenants but also from the management staff, service providers and most important of all the mall owners. It is definitely an essential communication tool during crisis situations. Pros: Besides the peace of mind knowing that we had this software in place, finally, I think the best part of the process was working with the company on the implementation. They are very helpful, friendly and patient! Cons: So far I honestly cannot think of anything I don't like about this software. Overall: I recommend Red Flag to my clients and have yet to have an unhappy customer. In particular, my clients in the Shopping Center industry have become reliant on Red Flag for crisis communications to ensure information is spread quickly and effectively, saving time and, potentially, even saving lives. 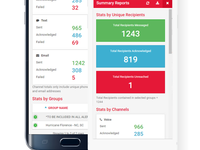 Pros: RedFlag is the most comprehensive and user-friendly mass-communication system available. 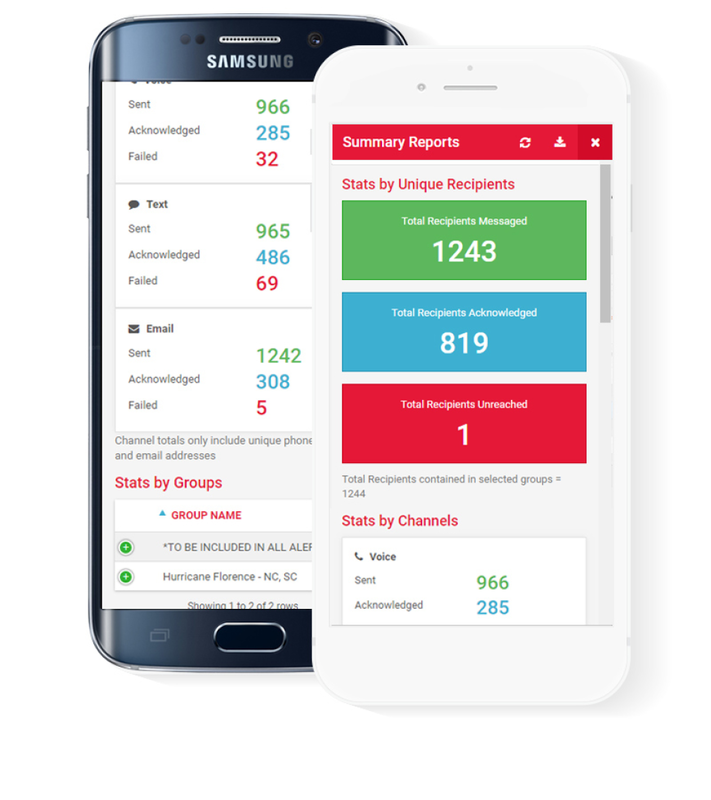 From the ease of implementation to the outstanding customer service the Pocketstop Team provides, RedFlag exceeds my expectations across the board. Cons: I have been using the system for several years, and I have nothing negative to comment on. Pocketstop is continuously providing new and innovative enhancements to their system to better serve the customer's needs. Pros: This software allows us to communicate with our Tenants at optimum times... during emergency situations or when building wide information needs to be sent in a moment. Cons: The software is a little expensive for the amount of times that we use it throughout the year. Overall: We use RedFlag as a broadcast notice to our building tenants when conducting fire drills or when an a situation in the building occurs and we need to get information out quickly. Pros: This is my first time managing a crisis or internal communication system, so I have very little to compare and contrast. I can say that the system is very easy to use and is not overloaded with useless features. Additionally, the price point was perfect for our small/medium organization. Cons: I can't really think of anything. Make it free? Overall: Our objective with buying this service was to alert the Penn Museum community of disruptions of critical systems in our building. Due to Penn policy, however, we are not allowed to alert our community of immediate emergencies. We must rely on fire alert systems or Penn proper for information about an incident. 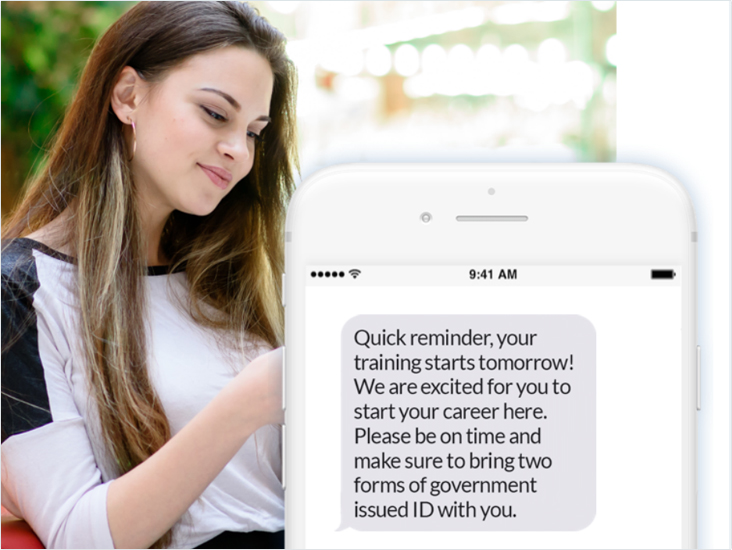 Pros: RedFlag is a great tool for our organization to quickly get out important notifications to all our staff, tenants and vendors. 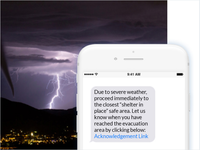 The client is very happy and at ease that we have a reliable emergency notification system. It was simple to set up and user friendly when making frequent changes to group lists. Cons: I have not had any issues with this software. Overall: Our company often needs to reach out to tenants and members on short notice and this system allows us to accurately do so, whether it's weather-related closings, emergency building repairs, etc..... This system has been very helpful. Pros: I love this platform and use it for a large client with 100s of locations for emergency management. We have literally over 100 users who login and manage their own locations for emergency messaging. Overall: We've simplified a lot of internal communication challenges with the product- customer service and training is top notch and we've never had a request or question that wasn't responded to quickly and clearly. Cons: Redflag has not presented any issues so far for our users. Overall: Redflag is our property go to for immediate need and emergency announcements. Pros: It is very easy to use to communicate with tenants and building staff at the building. Cons: The notices are very simple. Recommend photos or icons when texting as well as text. Pros: Very easy to manage and send messages to a large number of employees. Easy for employees to "Opt In" as well, which cuts down on administration overhead. Creating and using a template could not be any simpler. Cons: Nothing. I'm just typing something here because it is required. Overall: Excellent customer service and reliable and easy to use software. Cons: The computerized voice that speaks the voicemail is impersonal. The delay time between answering a phone call and the voice message starting. The fact that the email isn't able to incorporate our company logo.